Finding the best Laptop is quite difficult in this Price Segment. There are so many models available on the market that can confuse you. So, Here we have listed out the 5 Best Laptops under Rs 35,000 which are available in India. Before Buying a laptop, What are the things you should Consider? The most important thing is to know your needs. You should ask a Question to yourself, Why I need this Machine? You May Need It for your Everyday Work or Maybe for Multimedia use Or for daily use like Playing Games, Internet browsing, Documentation works or for other normal uses. If the above mention things are what you need then you should definitely pick one of the best laptops which are mentioned below. But, If You need a laptop for playing high Graphic Games, Coding, Graphics Designing or Anything like these, I would recommend you to increase your budget and go for higher Models. Remember, Non of the laptops in this price segment can run the heavy games. Other important things you should consider is Its processor, RAM, Operating System, Hard disk, Graphics Card. It should at least have Intel 5th Gen Core i3 processor, 4GB DDR4 RAM, Windows 10 operating system, Minimum 500GB hard disk, and Induild intel Hd graphics. Note: You won’t get windows 10 and Graphics card Together at this price. If you are not looking to play heavy games, Go for Windows 10. Also Read Top 5 Intel 8th Generation Laptops Available in India. 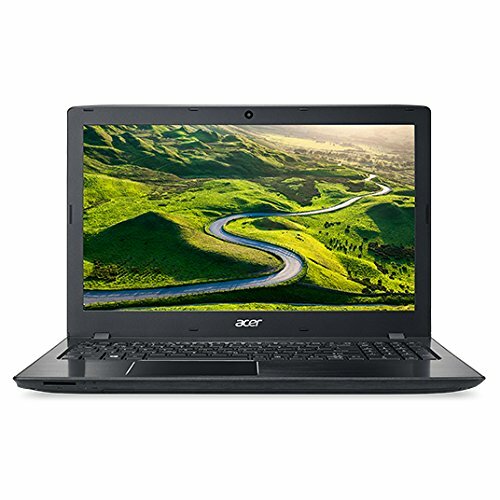 Acer Aspire E5-575 is the only model under this price, that comes with Intel i5 7th Generation processor and the best thing about i5 and i7 processors is Its turbo boost technology. Whenever i5 and i7 processors need more power it uses the turbo boost technology to boost the performance. Acer Aspire E5-575 uses Intel i5 7200U processor which is clocked at 2.5 GHz with Turbo Boost Upto 3.1 GHz and has integrated Intel HD 620 Graphics to add more power to it and the size of the screen is 15.6 inch which is an HD screen. The processor is paired with 4GB DDR4 RAM which is average on multitasking but it can be expanded up to 8GB. On storage part, It has got 1 TB of Hard Disk space which is more than sufficient for all your important documents, movies, songs etc. It runs on Free DOS which means you have to install the operating system manually. The laptop comes with WiFi technology and Bluetooth 4.0 technology for smarter connectivity and easy file sharing. It equips a HD webcam for video chatting with friends and family. The laptop runs on a 4-cell 45 Wh rechargeable Lithium-ion battery that offers a good battery life and the weight of the laptop is 2.23 kg. 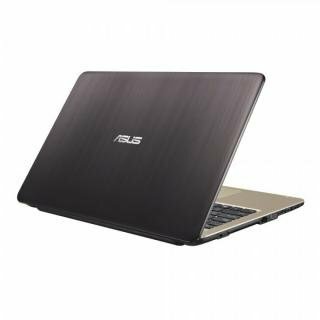 Asus is a well known and trusted company in the market for Laptops. Also known as Asus A541UV-DM977 is powered by Intel Core i3 7100U 7th generation processor which is clocked at 2.40 GHz and has 2 GB dedicated NVIDIA GeForce 920MX graphics card that can run high graphics games. The processor is paired with 4GB DDR4 RAM and can be extended up to 12 GB, In terms of storage it has a 1TB Hard drive which is more than sufficient for all your important documents, movies, songs etc. Out of the box, It has DOS operating system, It mean you will not get any operating system with it, You have to install it on your own. The screen size of this laptop is 15.6 inches which is a Full HD screen and it comes with 2 years global On-site warranty. The price of the laptop is Rs 33,989. 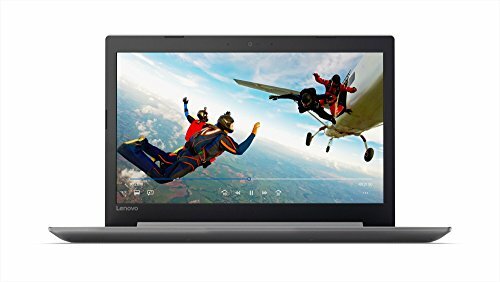 Lenovo Ideapad 320E (80XH01HAIN) Laptop is one of the best laptop powered by an Intel core i3 6th Generation processor which is clocked at 2GHz and has Integrated Intel HD graphics card that delivers decent power for daily needs. This laptop is powered by the processor, coupled with 4 GB of DDR4 RAM and has 1 TB HDD storage at this price point which is more than sufficient for all your important documents, movies, songs etc.. The screen size of this laptop is 15.6 inches which is a Full Hd screen and the weight of the laptop is 2.2kg which is a bit heavy to carry.It has 35-watt 4 cell lithium polymer battery that can power up to 5 hours. Other than that it has a 2GB dedicated graphics card (N16V-GMR1 GDDR5 2G). HP is a name we can blindly trust when it comes to laptops, given the products, services provided and the reputation of the company. Their laptops are beautiful in design and powerful in performance. The HP 15Q-BU007TY Notebook is a perfect example of the same. This laptop is equipped with a 15.6- inch HD (1366 x 768 pixels) LED Backlit wide BrightView screen display, which has a pretty decent display quality. The slim and sleek design of this laptop makes it look more stylish. It is powered by 6th Generation Intel Core i3 processor which is paired with 4 GB of RAM. With a clock speed of 2.0 GHz and a cache of 3 MB this laptop delivers a decent performance. It comes with 1 TB of HDD storage which is an enormous storage capacity and has Intel Integrated HD 520 Graphics card which delivers good a good performance on this laptop. It comes with DOS which means you will have to install an operating system manually. The 4-cell Li-ion battery provides a very good backup of up to 5 hours. Dell is a big brand and the world’s largest PC vendor. It has always provided users with powerful and durable products which can be trusted easily. The Dell Inspiron 5559 Notebook is one such product which gives users a good multimedia experience with a touch of gaming as well. This Notebook is powered by 6th Generation Intel Core i3(6100U)processor which is clocked at 2.3 GHz and 4 GB of DDR3 RAM which makes it capable of processing smoothly and multitasking. The screen size is 15.6-inch and offers an HD (1366 x 768 pixels) LED Backlit display. It comes with in-built Intel-HD Graphics module sufficient to fulfill basic graphics needs. The laptop comes with pre-installed Windows 10 Home OS and on the storage part, It has got 1 TB of HDD. The battery backup is also pretty good of up to 4 hours. It has got a single speaker which is not excellent but provides well to do audio output. Overall, this laptop is a great deal at a great price with good features. It is most suited for work, multimedia, and general usage but it is not recommended for gamers as it has 4GB RAM. So, if you are not much into gaming this can be an excellent choice or to Play High-resolution games You need to upgrade the RAM to 8GB (Recommended).